My longing to be in the sky introduced me to skydiving, bungee jumping, paragliding, para-sailing, helicopter touring, airplane piloting, and helicopter piloting, but at 29 weeks pregnant, my flight experiences would have to be put on hold… or so I thought! 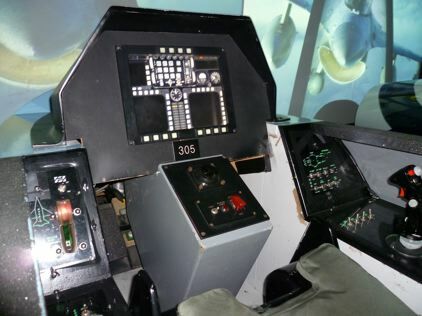 Flightdeck Air Combat Center in Anaheim, CA is a flight simulation center that gives civilians the opportunity to pilot fighter jets in actual cockpit simulators. On Sunday, January 8th, Darren and I, along with a great friend, Albert, and four other friendly participants, flew our own authentic F-16 flight simulators as we challenged each other in a dogfight. I experienced the challenge of aerial maneuvers at 600 knots, aircraft take-offs and landings, and the excitement of air-to-air combat all while housing my soon-to-be-born baby girl. Flight-gear, training, and in-flight instruction were provided to ensure a challenging aviation-themed adventure. Our journey started with a military aviation flight suit and classroom instruction. It was reassuring to know that even if I forgot something critical to my flight, I could communicate with the Air Traffic Control Crew instantly. Although the instruction was a brief 20 minutes, I felt prepared to hop into the flight simulator and put my knowledge to the test. Once inside the cockpit, I received a instrument and control orientation briefing and I realized I was behind the controls of a high performance military flight simulator. 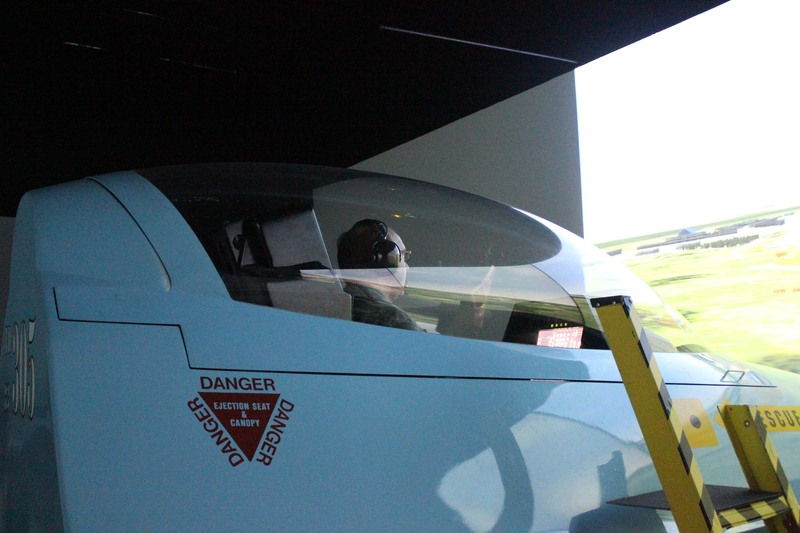 As the cover closed around me, I became immersed in the fighter pilot experience. The 45 minutes of flight time included take-off, turn controls, dogfighting, and landing. The differences between men and women were highlighted as the women did a little less dogfighting and a little more crashing while the men were solely focused on taking others down! My loving, caring, gentle husband shot me out of the sky more than anyone else. I spent more time reactivating my weapons and getting back into the sky than actually shooting people down. He claims that he was unaware that the jet was mine, but I’m skeptical considering he shot me down 6 times. I would have happily returned the favor, though, if only I had been capable. His maneuvering and dogfighting capabilities were obviously superior and he deserves credit for his tact and skill, but he won’t be hearing it from me anytime soon. Even though I did worse than every other person in the dogfight and I only shot down one person, and it wasn’t even my husband, I was impressed with my landing skills and successfully landed each of my attempts. The whole experience was challenging, adventurous, and eye-opening. I gained a new respect for fighter pilots and my passion for extreme flying was enhanced yet again. Albert’s wife, Faith, enjoyed the “Officer’s Club”, an observation area where guests can view and listen to all of the action on 37″ video monitors. She saw a small version of what each pilot was seeing during their flight and was able to hear the interaction between the pilots and the Air Traffic Control Crew. It was great to have an observer follow our flight and snap some shots of our adventure. She may not have been in the cockpit like us, but she was able to participate in the experience. 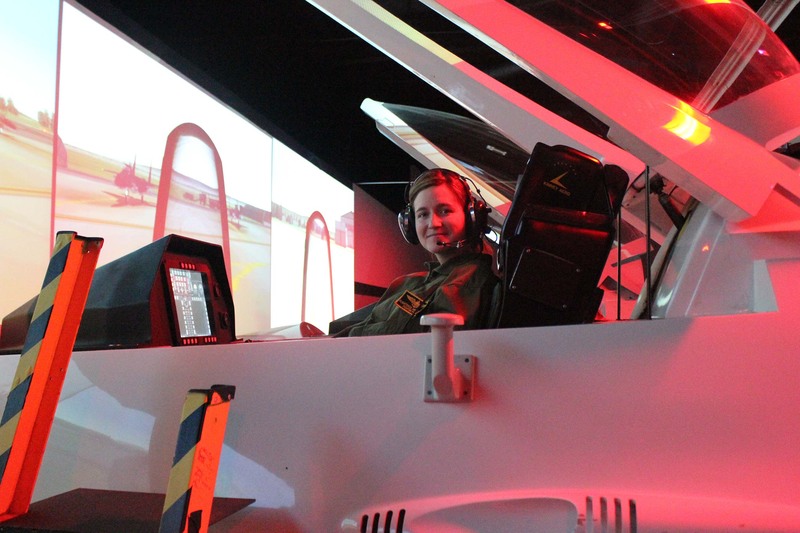 The next time you are in Anaheim looking for something new to do, check out Flightdeck Air Combat Center. They offer a true-to-life aviation experience that gives everyone, even large, pregnant women, the chance to become a fighter pilot. You can call (714) 937-1511 or check out their website to book your flights. This entry was posted in California, California Entertainment, Travel, Uncategorized, USA and tagged adventure, Anaheim, bucket list, California, Fighter Jet, Flight, Flightdeck, Flying, Jet, Lesley Carter, life, photo, Pilot, SoCal, southern California, travel, USA, vacation by lesleycarter. Bookmark the permalink. I am all for doing things on your bucket list and although your adventure is not one I would do, it sure was fun reading about it. Keep doing your thang! Blessings! Fantastic! I wish I had known about this place when I was in Anaheim last year! Just added to my bucket list. That looks like so much fun! Might be in Anaheim this summer. Will have to check it out. Sounds fun! So do you get flight credits for that? Very cool! My bros/dad are aerospace engineers, I only get to hear about this stuff. I knew Anaheim offered many high tech forms of entertainment. 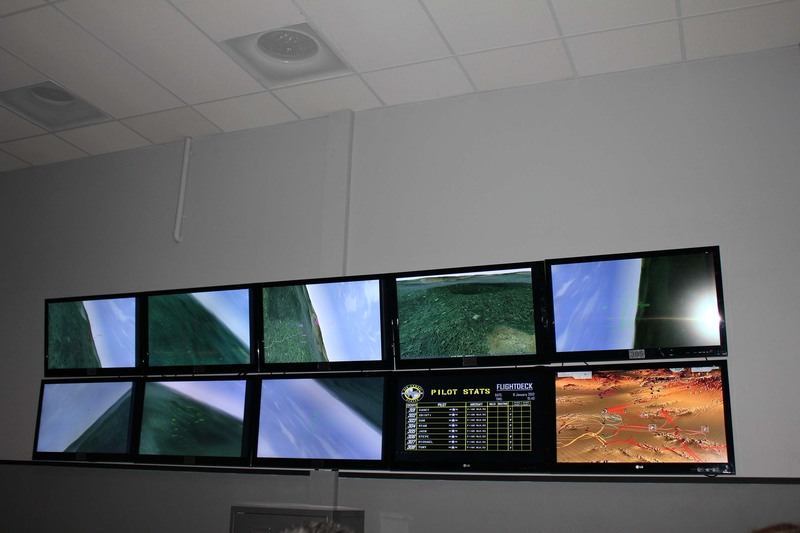 Now I am most pleased (as a former sail plane pilot and skydiver) to find out about this simulator open to the public. Hey, don’t you know? Men never REALLY grow up. If they did, we would not have enough warm bodies to throw into quite so many wars, I suspect. We nurture; they slap each other down. Now, if MY husband had been the one doing the shooting me down six times, he would have just shrugged afterwards and said, “But, honey, I was just trying to teach you somethings!” Yeah, right! So pleased you had that photographing friend along to enable us to share some of your experience on this blog! I am definitely going to look into this! I have always wanted to try that! I bet it is harder than it looks! Thanks for sharing Lesley! this is something that I will add on my bucket list! Lesley, you haven’t tried scuba diving as yet. Your enthusiasm for life is a breath of fresh air. You should meet my daughter, who has won numerous medals at the USPC Skydiving National Championship. She once was a partner in Skydive Houston. Now, she is running marathons. Too bad they don’t let women in the Navy Seals . . . I bet you would have made a good one. oooooh, that’s looks like alot of fun … will have to add to the list for when I visit Southern California! Oh dear! Take care! (Of you and baby!) K.
Oops! Lesley not Leslie! Apologies. I tried to catch the typo seconds after I hit the “Post Comment” button. I’ve heard that untrained women tend to shoot down male pilots at those schools more often than said pilots would care to admit. Sounds like lots of fun…and, more importantly, looks like you had lots of fun! I have to ask, it is going to sound strange, but dog-gone it, I am gonna do this anyway. Do you have some testosterone in your blood? What an adventure, good piece, thanks. That looks awesome! I will have to keep it in mind when I’m on the left coast. I will leave the flying to you and other career pilots. I’m happy to limit mine to trips to see family and imagination. Very best of wishes to you in your pregnancy and beginnings of motherhood. If I remember your mom post well, you had an excellent role model. From a longevity point of view, being able to land is at least as important as being able to shoot people down 🙂 This sounds like an absolute blast! Wow! What fun. Wish we had one in Pittsburgh. Ironic how a friendly dogfight turns into a battle between the sexes, lol. Great fun. Love your adventures! So happy to see another blog post from you. Love the jet fighting! What an exciting experience, and how proactive of you to seek adventure even while you are pregnant. Thanks for liking my cobbler recipe at The Blakery. Looking forward to reading more of your adventure. I can’t find your twitter alias–are you on twitter? I actually don’t use twitter. Ironically enough, I’ve never really liked the idea of social networking or social media. I started blogging about 4.5 months ago because I was pregnant and not working and it quickly became like a drug for me. I was addicted! I would like to try that simulator. Good grief, you’re like a superhero or action move star. Have you wrestled anacondas in the amazon or climbed everest yet? what are you waiting for? This sounds like something I’d love to try! !